In Parts One, Two, Three and Four of this scenario, the NATO surface groups tasked with retaking Iceland from the Soviets have undergone some severe trials. 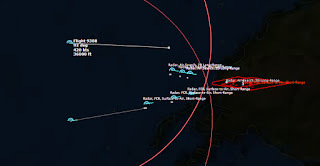 They have been sustaining incessant air attacks from Keflavik and also cruise missile attacks from Soviet submarines. The damage has been extensive, including the loss of one ship and several others heavily damaged. 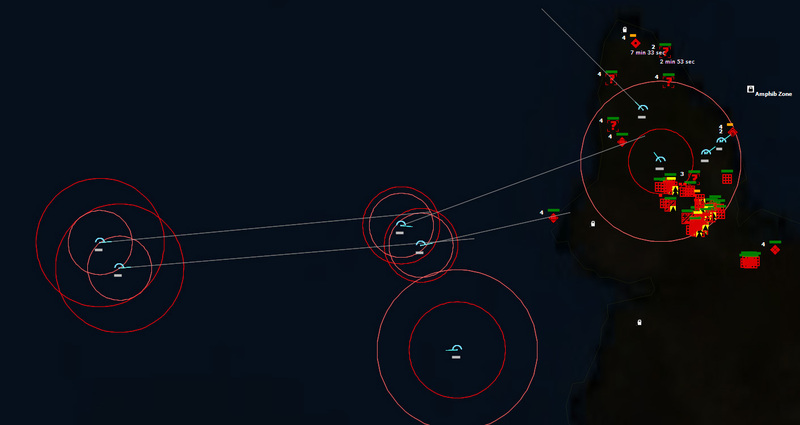 But the USS Oriskany and the FS Clemenceau managed to launch counterstrikes. The strikes hit Keflavik hard, and is sufficient to severely curtail flight operations. In fact, the Soviets manage to get a few MiG-23 Floggers airborne as a CAP, but that's it. Follow-up strikes on Keflavik suppresses its air defenses and manages to destroy many more aircraft on the ground. The way is clear now for the amphibious assault. It is the middle of the night, and my AEW aircraft is currently refueling. I launch some Shrike-armed A-7s in an attempt to go after Soviet Radar stations in the hopes of eliminating them to aid in the invasion. 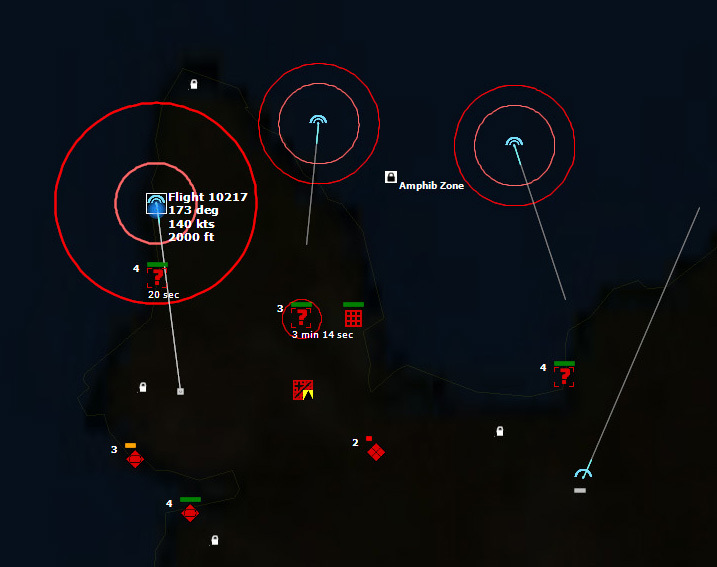 011532Z My A-7s launch their Shrikes, and the radar site attempts to defend itself by firing SA-8b Geckos. The Shrikes take out a Long Track [P-40] Radar set, and also an SA-8b Gecko Mod-0 [9A33BM2] TELAR. The A-7s proceed to southern Iceland, where another Long Track radar is set up. 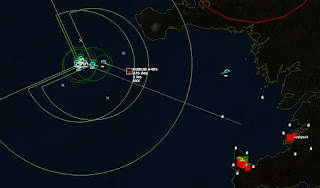 This Radar apparently does not have any SAMs to protect it, so it is an easy kill. 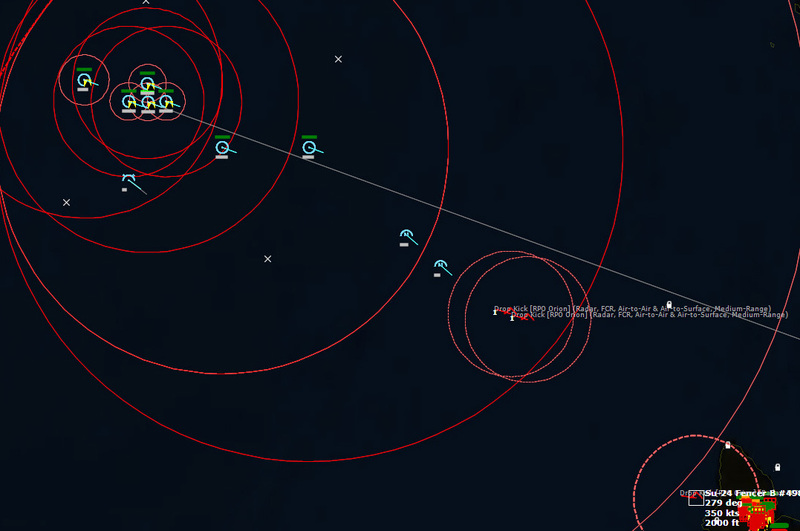 014703Z On the way back home, I detect a fighter launching from Keflavik, undoubtedly to intercept my returning A-7s. 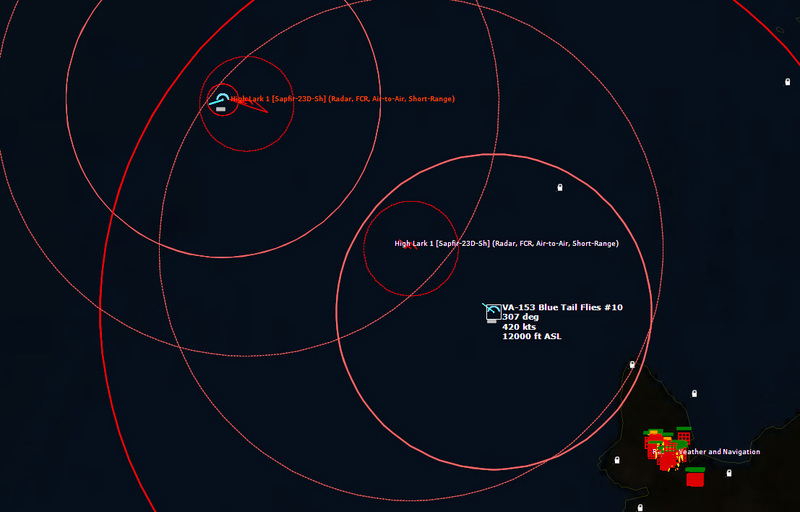 My A-7s soon find themselves in a dogfight northwest of Keflavik. 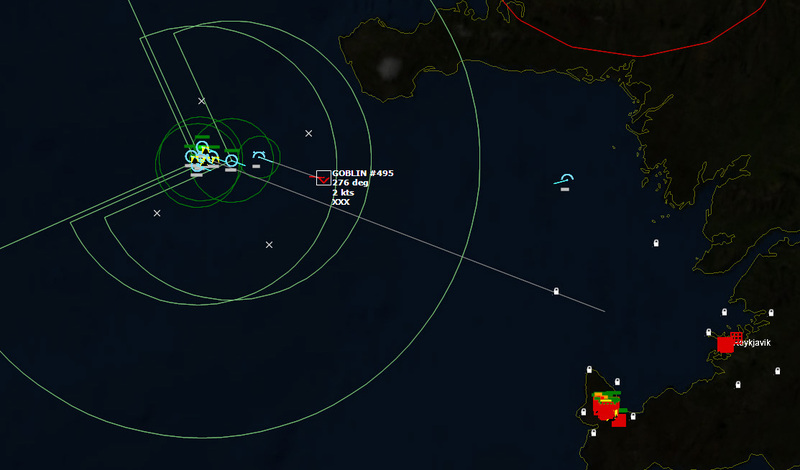 The MiGs engage in a turning fight with my A-7s at low altitude, and unfortunately I lose one A-7 to an AA-8 Aphid. 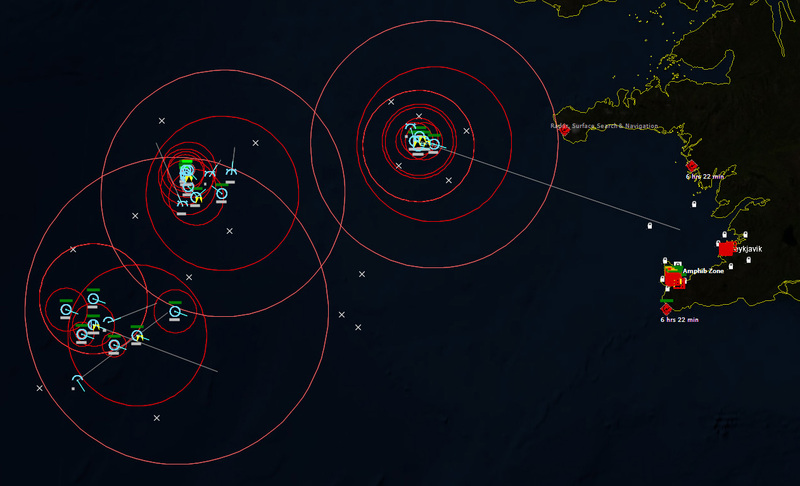 Annoyed with this, USS Farragut launches a SAM at one of the MiGs. The shot down A-7's wingman kills a MiG-23 with a Sidewinder. The second MiG shoots down another A-7, but is in turn shot down by a head-on gun pass by one of the two remaining A-7s. 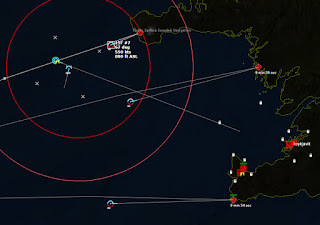 015400Z There are three Surface Search/Navigation Radars active, so I launch an Etendard against each one from Clemenceau. Little by little I will roll back Soviet assets in preparation for the assault. The Etendards close in on their targets. 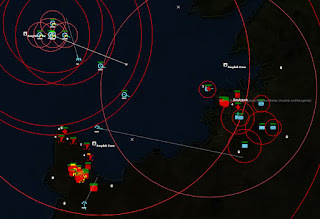 One by one the radars are all destroyed. 024500Z I detect a submarine uncomfortably close to the Iowa amphibious group. I slow down the Iowa group from Cruise to Creep until I deal with this threat. My Sea Sprite from USS Spruance drops a Mk46 on the submarine, which turns out to be a Foxtrot, and damages it. USS Farragut finishes it off with an ASROC. 013337Z I detect a bogey airborne over Keflavik, and from its radar signature, it's clear that its a Su-24 Fencer B. I immediately direct Oriskany to launch a pair of F-8s. 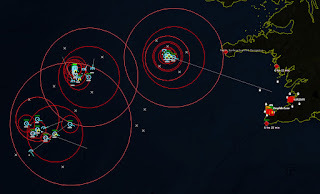 The Fencer is almost in range of Farragut's SAMs. Then I detect another bogey being launched. Two Su-24s launch from Keflavik. Farragut lights off its radars. 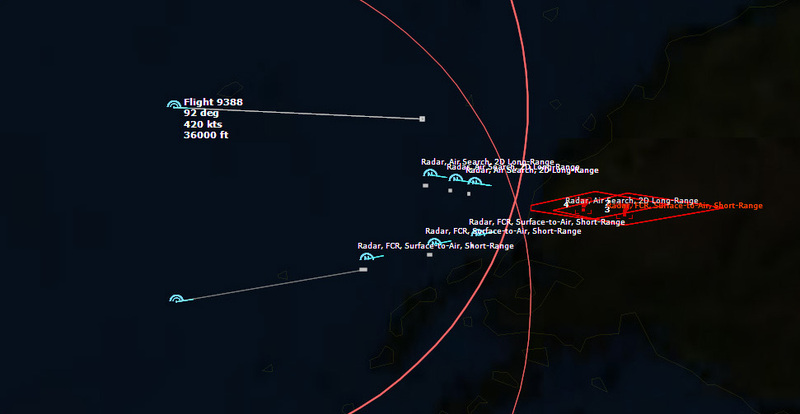 And then I detect another contact launching at Keflavik, yet another Fencer, followed a short time later by another. It takes four SAMs, but the first two Fencers are killed. Farragut then engages the second pair of Fencers. Five SAMs later, and they are downed. Farragut has 11 RIM-67As left. USS Sellers has 24 RIM-66As in case any get by Farragut. Two more Fencers take off from Keflavik, and they are shot down, one by a SAM, one by a Sidewinder. Two more Fencers take off (#7 and #8, if you're counting). The F-8s are loitering right next to Keflavik now, so one is shot down by a Sidewinder almost immediately. The second is shot down by a SAM. 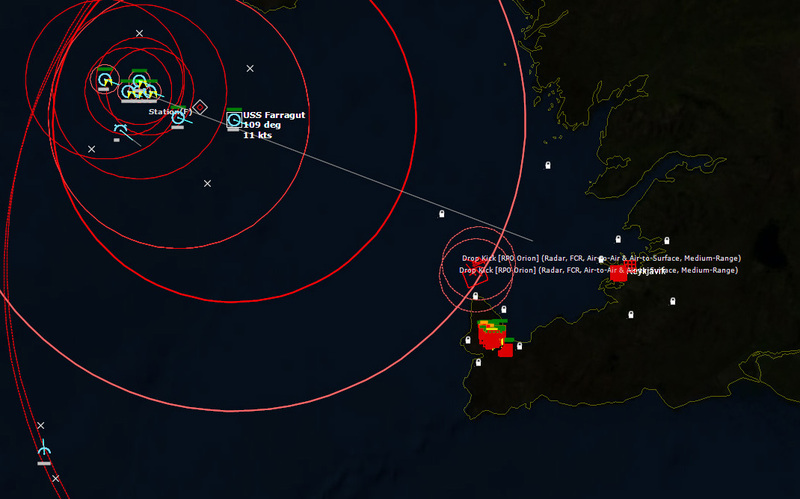 No new launches are detected, so perhaps that's it for now. 063937Z The sky lightens over Iceland, and the Iowa group is less than five miles from entering the Amphib Zone. Time to begin the strikes. I launch a pair of recon Etendards from Clemenceau. 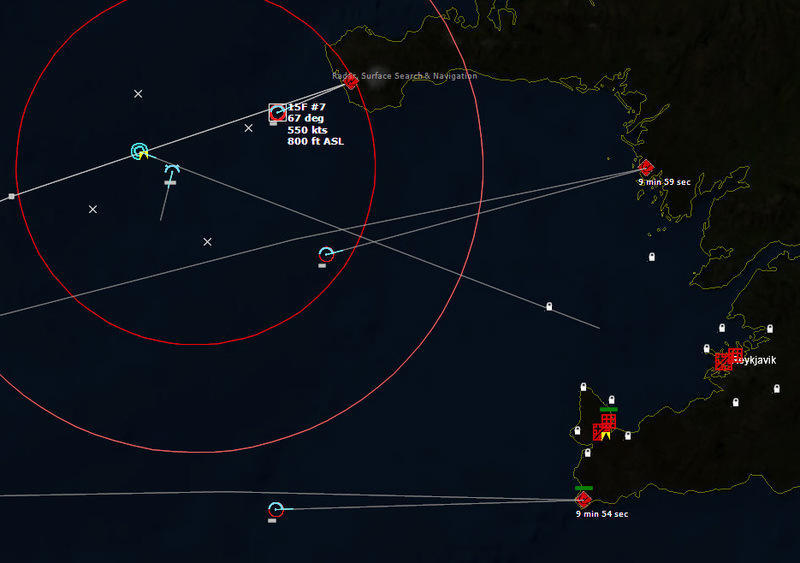 Once they are well on their way, I launch six more Etendards to attack any targets that the Etendards discover. 070327Z As the Amphibious Group enters the Amphib Zone, Pensacola and Shreveport begin landing troops ashore. The HQ AAV Plt A Coy attacks the SA-6 Gainful Battery northwest of Reykjavik. 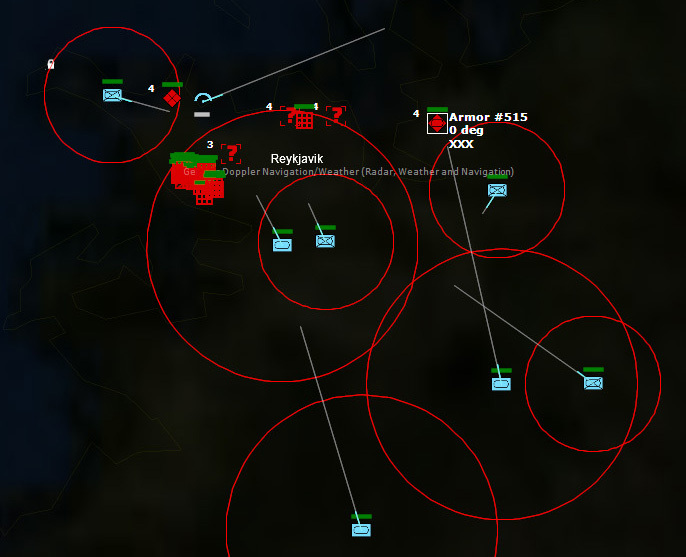 USMC armored units maneuver to engage targets around Reykjavik as well. The SAM battery is quickly taken out. 070403Z USS Iowa opens fire with its 16" guns on an artillery position north of Keflavik, causing some light damage to to the guns but more importantly causing the Soviet gun crews to wet themselves. At Reykjavik the US Marines devastate the Soviet Naval Infantry, rolling over them. At Keflavik, I lose a Recon Etendard and a strike Etendard to a ZSU-23-4 that has plagued me from my first strikes on Iceland twelve hours ago, but a second Etendard finally takes it out. 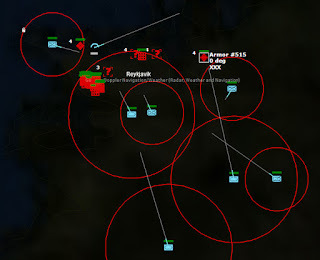 The Cobras devastate the remaining ground forces around Keflavik, clearing the way for unopposed landings. Iceland is now in NATO hands. This was a harrowing scenario. After taking the beating that I did from Soviet aircraft, I was very concerned about being able to complete the mission. 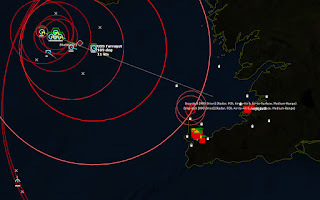 While my own strike was inbound to Keflavik, I looked on the forum and saw a thread about this scenario where the poster was having difficulties and a commenter said that the "trick" was to simply not get detected by the Soviets. If only. 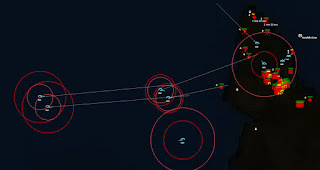 I was dreading another scenario like Scenario 8: Damn the torpedoes! 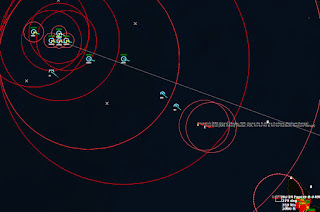 where if you get detected you have essentially no chance to win...but you don't realize it until hours of playing later when your fleet gets pounded. In Damn the Torpedoes I had to replay the mission seven times before I identified everything I had to do to ensure a win--and I still had to get lucky. "Winning" that way feels like cheating to me. This leads to a philosophy I have about games/simulations--I tend to dislike games where I have to do everything perfectly in order to win. That is to say, games where I have to repeat things over and over until I know what's going to happen in a scenario ahead of time so I can preempt everything on a subsequent attempt...and only once all those things are known is it possible to win. I much prefer games where if I make a mistake, I can play through the difficulties those mistakes cause and potentially recover from them. Deliverance was one such scenario. I did get detected by the Soviets early on, and paid for it by sustaining massive airstrikes causing multiple ship losses. Although bloodied, I still managed to complete the mission. This was much more satisfying, and honestly, I feel it is more realistic. There are players who talk about plowing through scenarios without suffering a single casualty, and that's great for them. For myself, I play COMMAND not to "crush" scenarios to see if I can achieve the maximum possible score, but rather to see if I can get through the scenario at all on the first attempt. In war, bad stuff happens, and the winner is the one who recovers from setbacks and keeps on fighting. This looked like a lot of fun. Glad the Amphib Landing didn't encounter any problems, thats where its touch and go. 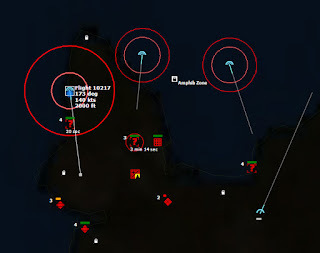 When this scenario was created, amphibious operations in COMMAND were still relatively abstract. Since then they've upgraded them to be a bit more realistic.